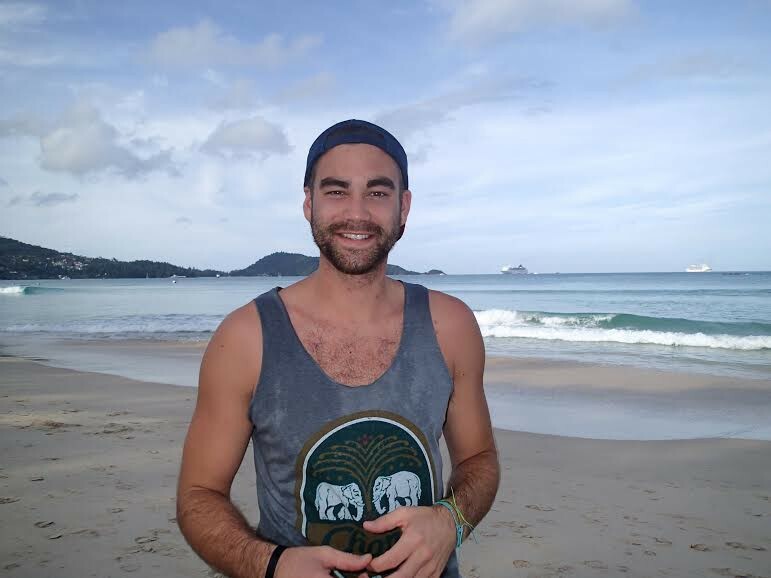 I’ve spent time in Thailand the past 2 winters and loved it. Although I will not make it out that direction this winter, I wanted to make a top 10 list for those considering going. Thailand is an amazing country and even though I have been there twice there is still a ton I have not done or seen. This is just a start. But a start is better than nothing. Rent a Scooter – This is the preferred method of transport. While scooters are a lot of fun, be very very careful as Thailand has the most motorcycle deaths per year of any country. Drive responsibly and you’ll have a good time. 2. Banana Pancakes – Simple but so tasty. These are a staple when you’re on the road. This was a friendly guy in Koh Samui who I met. 3. Elephant Sanctuary – I visited an ethical elephant sanctuary and got to feed a 6 month old baby elephant. There are a lot of places that don’t care for the elephants, so it’s important to find an ethical place. 4. Bike Tour – I took a bike tour in Bangkok on a pedal bike. We made it out to some beautiful scenery. Outside of the big city, Thailand has some incredibly beautiful scenery where life moves a little slower. 6. Snorkelling – Further to the point above, the life under the water is amazing. Snorkelling tours are inexpensive, and you will make friends on the boat as well as under the sea. 7. La Bua Skybar – This roof top bar is in Bangkok and being 820 feet in the air gives you a solid view of the city. Also the bar that Hangover 2 was filmed at. The drinks are pricy ($10) but it’s a once in a lifetime. 8. Tiger Kingdom – If you’ve ever wanted to be in a cage with a Siberian tiger, this is a good place to do it. This is in Chiang Mai, a mountainous, beautiful city in Northern Thailand. There is also another tiger kingdom in Phuket, Thailand (south). 9. Phuket Jet Ski – Phuket is very touristy. Patong beach in Patong hosts thousands of people each day. I’d also highly recommend staying at the Patong Marina, as it’s the best place on the main street to stay. 10. Enjoy a Sunset – Thailand is famous for it’s world famous sunsets. Some of the best ones in my opinion are in Koh Lanta. Koh Lanta is a beautiful, chilled out island in the south of Thailand.